Phoenix (Arizona) – May 16, 2018 (travelindex) – Best Western Hotels & Resorts is celebrating A Rewarding 30 Years with the milestone anniversary of Best Western Rewards. Since its inception in 1988, Best Western Rewards (BWR) has grown from 180,000 members to more than 32 million today. 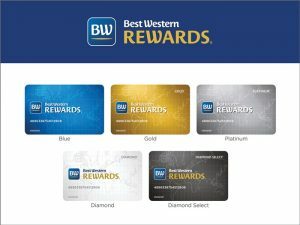 With points that never expire and access to the richest promotions in the hotel industry, BWR has been frequently recognized as an innovator, achieving a top five ranking in U.S. News & World Report’s 2017-2018 Best Hotel Rewards Programs and ranking one of the top three Best Hotel Rewards by WalletHub in 2017. With each year, the program continues to raise the bar, and now offers the industry’s lowest point threshold, free nights with no blackout dates and unique seasonal promotions.